“Development of Greenness Index.” P. Somasundaran and Yang Shen, Denver, CO, Feb 2013. “Transport of Fibrous Serpentine Gangue to Froth by Bubble Flux in Flotation Separation,” Presentation at 2012 SME Annual Meeting, Seattle, WA, February 21, 2012. “Greener Surfactants: Structure Property/Performance Relationships for Synergy and Antagonism,” P. Somasundaran, and Jun Wu, presented at the 14th International Association of Colloid and Interface Scientists conference, Sendai, Japan, May 15, 2012. “Role of Fibrous Micro-Aggregates and Macro-Network Structures on Suspension Rheology,” P. Somasundaran, Partha Patra and D. R. Nagaraj, presented at the 14th International Association of Colloid and Interface Scientists conference, Sendai, Japan, May 18, 2012. “A Multipronged Approach to Oil-Spill Clean-Up,” at SME Annual Meeting, Denver, CO, March 2, 2011. “Impact of aspect ratios of fibrous serpentines in ultramafic Ni ores benefication,” (P. Somasudaran, D.R. 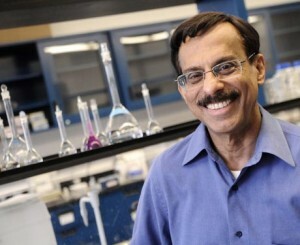 Nagaraj and P. Patra), at the 85th ACS Colloid & Surface Science Symposium, Montreal, Canada, June 20, 2011. “Tailoring (Bio)chemical activity of ferric (Hydr)oxide nanoparticles: Role of nanosize and crystallinity,” (I. Chernyshova, S. Ponnurangam and P. Somasundaran), at the 85th ACS Colloid & Surface Science Symposium, Montreal, Canada, June 21, 2011. “Aggregation-Deposition properties of metal oxide nanoparticles in the presence of fatty acids: Effect of nanoparticle size,” (I. Chernyshova, S. Ponnurangam and P. Somasundaran), at the 85th ACS Colloid & Surface Science Symposium, Montreal, Canada, June 22, 2011. “Tailoring (bio)chemical Activity of Semiconducting Metal (Hydr)oxide Nanoparticles: Critical Role of Deposition and Aggregation,” Irina Chernyshova, Sathish Ponnurangam, and P. Somasundaran, presented (by I. Chernyshova) at the 242nd ACS National Meeting & Exposition, Denver, CO, August 28, 2011. “Dependence of Aggregation/Deposition Properties of Metal Oxide Nanoparticles on their Size in the presence of Fatty Acids,” Sathish Ponnurangam, Irina Chernyshova, and P. Somasundaran, presented (by S. Ponnurangam) at the 242nd ACS National Meeting & Exposition, Denver, CO, August 31, 2011. “Impact of Aspect Ratios of Serpentines in Benefication of Ultramafic Ni Ores,” (Partha Patra, Mukund Vasudevan, Tarun Bhambani, D. R. Nagaraj, and P. Somasundaran), at 50 years of the Conference of Metallurgists, Montreal, Canada, October 4, 2011. “Efficient Processing of Ultramafic Ni Ores: Challenges and Solutions” (Mukund Vasudevan, D. R. Ngaraj, Partha Patra, Tarun Bhambani and P. Somasundaran) at 50 years of the Conference of Metallurgists, Montreal, Canada, October 4, 2011. “Physiochemical interactions of mineral fines and their effects on selective mineral separations,” presented at the 2010 SME Annual Meeting and Exhibit, Phoenix, AZ, February 28-March 3, 2010. “Adverse Effects of Slimes in Mineral Separations – Bridging the Gap between Research and Practice,” by D.R. Nagaraj, T. Bhambhani, P. Patra, M. Vasudevan, P. Deo, and P. Somasundaran, presented at the 2010 SME Annual Meeting and Exhibit, Phoenix, AZ, February 28-March 3, 2010. “Correlation of the Nano-effect with Surface Energy,” by X. Fang and P. Somasundaran, poster at the Center for Environmental Implications of Nanotechnology, NSF Site Visit; University of California, Los Angeles, June 15-16, 2010. “Revision of oxidative catalytic reaction mechanism of hematite nanoparticles and related size-effects,” by I.V. Chernyshova, S. Ponnurangam, and P. Somasundaran, presented at the 240th ACS National Meeting & Exhibition, Boston, MA, August 22-26, 2010. “On the dependence of the electronic properties of ferric (hydr)oxides on nanoparticle size: Relation to aquatic chemistry,” by I.V. Chernyshova, S. Ponnurangam, and P. Somasundaran, presented at the 240th ACS National Meeting & Exhibition, Boston, MA, August 22-26, 2010. “Characterization of acid-base and redox properties of metal oxide nanoparticles in water using probe-molecule FTIR spectroscopy,” by S. Ponnurangam, I.V. Chernyshova, and P. Somasundaran, poster at the 240th ACS National Meeting & Exhibition, Boston, MA, August 22-26, 2010. “Flotation of Phosphate Gangue from Magnetite Fines – Non-Ionic Surfactant as Atrac Collector Modifier,” K. Hanumantha Rao, R. Dwari, S. Lu, A. Vilinska and P. Somasundaran; Snap shot presentation at the XXV International Mineral Processing Congress – IMPC 2010, Brisbane, Australia, September 6, 2010. “Similarities and Dissimilarities in Florida Phosphate Ore Types – Surface and Bulk Property Analysis of the Flotation Feed, Concentrate and Tails,” P. Somasundaran, P. Patra, I. Chernyshova, S. Ponnurangam, S. Purohit, and H. El-Shall, Oral presentation at the XXV International Mineral Processing Congress – IMPC 2010, Brisbane, Australia, September 6, 2010. “How Size and Crystallinity of Nanoparticles (NPs) affect their Chemical Activity in Water? Acid-Base Properties of Metal Oxide NPs and Adsorption of Oxy-Anions and Fatty Acid” Irina Chernyshova, Sathish Ponnurangam and P. Somasundaran, AIChE 2009 Annual Meeting, Nashville, TN, November 9, 2009. “Surfactant Adsorption on Structure II and Semi-Clathrate Hydrates” Chi Lo, Junshe Zhang, Alexander Couzis, P. Somasundaran, and Jae W. Lee, AIChE 2009 Annual Meeting, Nashville, TN, November 10, 2009. “Synergistic Interactions among Biosurfactants and Other Surfactants” Jun Wu, P. Somasundaran, and Kevin Jarrell, AIChE 2009 Annual Meeting, Nashville, TN, November 10, 2009. “A Mocrofluidic Obstacle Course for Arraying and Detection of Microbeads, Lipobeads and Liposomes,” Shahab Shojaei-Zadeh, David Bouttes, Xiaohua Fang, Bingquan Li, Charles Maldarelli, and P. Somasundaran, AIChE 2009 Annual Meeting, Nashville, TN, November 11, 2009. “Interfacial Behavior of Modified Silicone Polymers and their Interactions with Solid Substrates” P. Somasundaran and Parag Purohit, AIChE 2009 Annual Meeting, Nashville, TN, November 12, 2009. “Characterization of Particle Tribo-Charging and Electron Transfer with Reference to Electrostatic Dry Coal Cleaning,” R.K. Dwari, K. Hanumantha Rao and P. Somasundaran, Presentation at the 2008 SME Annual Meeting and Exhibit, Salt Lake City, UT, February 24 – 27, 2008. “Mineral Wettability Control by Optimizing Adsorption of Mixed Surfactants.” S. Lu and P. Somasundaran, Presentation at the 2008 SME Annual Meeting and Exhibit, Salt Lake City, UT, February 24 – 27, 2008. “Reagent Adsorption on Pentlandilte-Chrysotile System – A Molecular Simulation Study,” Sathish Ponnurangam and P. Somasundaran, Poster at the 2008 SME Annual Meeting and Exhibit, Salt Lake City, UT, February 24 – 27, 2008. “pH Dependence of Adsorption of Alkyl Maltoside on Solids,”ACS National Meeting, New Orleans, LA, April 6-10, 2008. “Interfacial Properties of Sugar Based Surfactants and Their Applications,” presented by Dr. Jae Lee, 99th AOCS Annual Meeting and Expo, May 17-18, 2008. “SDS adsorption onto THF hydrates” presented by Dr. Jae Lee, Gas Hydrate Meeting, Vancouver, Canada. “Adsorption Modes of Natural Carbonate Indicate that the Surface Basicity of Hematite Nanoparticles Increases with a Decrease of Particle Size,” and “Particle Size Effect on the Adsorption of Surfactants on Hematite Nanoparticles,” presented by Irina Chernyshova at ACS Fall Meeting, Philadelphia, PA, August 17-21, 2008. “Role of Chemical Additives in Flotation,” Aqualon Division of Hercules Research Center, Wilmington, DE, September 4, 2008. “Application of biosurfactants for mineral surface treatments,” International Mineral Processing Meeting, Beijing, China, September 24-26, 2008. “Effect of Variability in Feed Characteristics on Fatty Acid Flotation of Florida Phosphates,” International Mineral Processing Meeting, Beijing, China, September 24-26, 2008. “Energy Saving in Ultra Fine Stirred Milling,” Paper presented at the SME Annual Meeting, Denver, CO., February 26-28, 2007. “Synergy among Surfactants in solution and on particles in Suspensions,” (Shaohua Lu and P. Somasundaran), Poster at the 81st ACS Colloid & Surface Science Symposium, University of Delaware, Newark, DE, June 24-27, 2007. “Characterization of Nanostructures of Mixed Surfactant Aggregation Using analytical Ultracentrifugation,” (Shaohua Lu and P. Somasundaran), Oral presentation at the 81st ACS Colloid & Surface Science Symposium, University of Delaware, Newark, DE, June 24-27, 2007. “Self-assembly of sugar-based surfactant in the presence of phenol,” (Shaohua Lu and P. Somasundaran), oral presentation at the 234th ACS National Meeting, Boston, MA, August 20, 2007. “Study of Interactions between Surfactants and Liposomes / Proteins,” (Namita Deo and P. Somasundaran), oral presentation at the 234th ACS National Meeting, Boston, MA, August 21, 2007. “Conformational Behavior of Hydrophobically Modified Polymers and its Interaction with Oppositely Charged Surfactant in Solution,” (P. Deo and P. Somasundaran), oral presentation at the 234th ACS National Meeting, Boston, MA, August 23, 2007. “Conformation of hybrid silicone polymers at interfaces,” (Somil Mehta and P. Somasundaran), oral presentation at the 234th ACS National Meeting, Boston, MA, August 23, 2007. “Behavior control of viscoelastic surfactant system using additives,” (Shaohua Lu and P. Somasundaran), oral presentation at the 234th ACS National Meeting, Boston, MA, August 23, 2007. “Improved Surface Behavior of Materials Using Hybrid Silicone Polymers (by P. Somasundaran, P. Purohit, S. Mehta, and R. D. Kulkarni), oral presentation at the 10th IUMRS International Conference on Advanced Materials, Bangalore, India, October 10, 2007. “Role of thinning and rupture of aqueous surfactant films in flotation.” (P. Somasundaran and Somil Mehta), presented at the SME Annual Meeting, St. Louis, MO, March 27-29, 2006. “Adsorption behavior of talc as a filler functionalized with polysaccharides,” (Jing Wang and P. Somasundaran), presented at the SME Annual Meeting, St. Louis, MO; March 27-29, 2006. “Analytical Ultracentrifuge Study of Micellization of Surfactant Mixtures,” (S. Lu and P. Somsundaran), presented at the 231st ACS National Meeting, Atlanta, GA, March 29, 2006. “Rock wettability control and chemical loss reduction in EOR process,” (with S. Lu), presented at the AAPG Rocky Mountain Section Annual Meeting, Billings, Montana; June 11-13, 2006. “Effects of hydrophobically modified polymers on the stability of emulsions and mineral wettability,” (with P. Deo), Poster presentation at the AAPG Rocky Mountain Section Annual Meeting, Billings, Montana; June 11-13, 2006. “Theory and Experiments for the Surfactant Adsorption from Micellar Solutions onto an Initially Clean Air/Water Interface: Evidence of the Direct Micelle Adsorption Route,” (with Fenfen Huang, Alexander Couzis and Charles Maldarelli), presented at the 2006 AIChE Annual Meeting, San Francisco, CA, November 12-17, 2006. “Population Balance Modeling of Flocculation of Mineral Suspensions by Polymers,” (with P. C. Kapur and Venkataramana Runkana), presented at the 13th International Mineral Processing Congress, Istanbul, Turkey, September 3-8, 2006. “Polymeric Surfactants and Biosurfactants as Nano Carriers and Reactors,” (with Richard Gross, Lei Zhang, Puspendu Deo, and Jing Wang), presented at the 232nd ACS national Meeting, San Francisco, CA, September 10-14, 2006. “Effects of Modifying Functional Groups on Interfacial Behavior of Hybrid Silicone Polymers,” (with Somil Mehta), presented at the 232nd ACS national Meeting, San Francisco, CA, September 10-14, 2006. “Reagent Adsorption on Precious Metals and Alloys,” (with Somil Mehta), presented at the 232nd ACS national Meeting, San Francisco, CA, September 10-14, 2006. “Synergy Among Surfactants in Solution and on Particles in Suspensions,” poster presentation at the 12th International Conference on Surface and Colloid Science, Beijing, China, October 15-20, 2006. “Aggregation and Characterization of Surfactants in Mixed Surfactant Systems Using Analytical Ultracentrifuge, Small Angle Neutron Scattering and Neutron Reflection,” (with Rui Zhang), Joint IAB/SSIW 2005 Meeting, Gainesville, FL February 1-2, 2005. “Cooperative Adsorption of Nonionic Surfactant Mixtures on Hydrophilic Surfaces: A Simple Model,” (with R. Zhang and C. Liu), 229th ACS National Meeting, San Diego, CA, Thursday March 17, 2005. “Interaction of Hydrophobically Modified Polyelectrolyte with Surfactant of Same Charge,” (with P. Deo), 229th ACS National Meeting, San Diego, CA, Thursday March 17, 2005. “Solution Properties of Amitriptyline and its Partitioning into Lipid Bilayers and Hydrophobically Modified Anionic Polymer,” (with N. Deo, T. Somasundaran and P. Deo), 229th ACS National Meeting, San Diego, CA, Thursday March 17, 2005. “Novel Flotation Technique for Carbonate Mineral Flotation,” Presentation at the Centenary of Flotation Symposium, Brisbane, Australia, June 6-9, 2005. “A Study of Feed Characteristics on Fatty Acid flotation of Florida Phosphates,” Presented at the TAC Meeting of the Florida Institute of Phosphate Research, Bartow, FL, Thursday, June 14, 2005. “Investigation of the Flocculation of Colloidal Suspensions by Controlling Adsorbed Layer Microstructure and Population Balance Modeling,” (with V. Runkana), 7th Annual World Congress of Chemical Engineering, Glasgow, Scotland, July 10-14, 2005. “Prediction of the Aggregate Nanostructures of Binary Surfactant Mixtures on Hydrophylic Solids,” (with Rui Zhang), at the 230th ACS National Meeting, Washington, DC, August 28-September 1, 2005). “Interaction Mechanism and Conformational Study of Polysaccharides on Solids by AFM, Spectroscopic and Allied Techniques,” (with Jing Wang), at the 230th ACS National Meeting, Washington, DC, August 28-September 1, 2005). “Controllable Synergistic or Antagonistic Adsorption of Surfactant Mixture on Solids,” (with S. Lu), Poster at the 230th ACS National Meeting, Washington, DC, August 28-September 1, 2005). “Dispersion of concentrated suspensions: Role of polymer conformation and chromatographic adsorption,” 2004 SME Annual Meeting and Exhibit, Denver, Colorado, February 23-25, 2004. “Prediction and Experimental Verification of Micellar Shape in Surfactant Mixed Systems,” (with R. Zhang, X. Hua and K. P. Ananth), at the 227th ACS national Meeting, Anaheim, CA, March 28 – April 1, 2004. “Interaction of hydrophobically modified polyelectrolyte with surfactant of same charge,” 15th Surfactant in Solution Symposium, Fortaleza, Brazil, June 11, 2004. “Mechanism of adsorption of nonionic surfactant mixtures on hydrophilic solid surfaces,” (with Rui Zhang), 78th ACS Colloid and Surface Science Symposium, Yale University, New Haven CT, June 20-23, 2004. “Study of mixed micellar growth of nonionic surfactants using analytical ultracentrifuge,” (with R. Zhang, X. Hua and K.P. Ananth), 78th ACS Colloid and Surface Science Symposium, Yale University, New Haven CT, June 20-23, 2004. “Complexations of poly(vinylcaprolactam) with anionic surfactants: Impact of surfactant molecular structures,” (with R. Zhang and Q. Zhou), 78th ACS Colloid and Surface Science Symposium, Yale University, New Haven CT, June 20-23, 2004. “Interactions of guar gum with solids by spectroscopic and allied techniques,” (with Jing Wang), 78th ACS Colloid and Surface Science Symposium, Yale University, New Haven CT, June 20-23, 2004. “Novel Nanogels for Encapsulation and Slow Release of Personal Care Actives,” (with Fang Liu and Carl Gryte), 23rd Congress of the International Federation of the Societies of Cosmetic Chemists, Orlando, Florida, October 24-27, 2004. “Core-Shell Nanocomposites – New Materials for Functional Fillers”, (with T. Chen and D. Sarkar), at the SME Annual Meeting & Exhibit, Cincinnati, OH, February 24-26, 2003. “Study of mixed surfactant micelles, using analytical ultracentrifuge”, (with R. Zhang), at the 225th ACS National Meeting, New Orleans, LA, March 23, 2003. “Dynamics of adsorption of polymers with different loop size and their unfolding with surfactants studied using surface plasmon resonance spectroscopy,” (with D. Sarkar), at the 225th ACS National Meeting, New Orleans, LA, March 24, 2003. “Theory and experiment on dynamic tension relaxations for surfactant adsorption to an initially clean air/water interface from micellar solutions,” (with C. Maldarelli, A. Couzis and Q. Song), at the 225th ACS National Meeting, New Orleans, LA, March 24, 2003. “Effect of polydispersity on adsorption of poly(vinyl caprolactam)s and correlation with their phase behavior,” (with Q. Qiu), at the 225th ACS National Meeting, New Orleans, LA, March 24, 2003. “Interactions between surfactants and polymers and nanogels: Mechanisms of nanotuning for extraction /delivery,” Society of Cosmetic Chemists Annual Scientifics Seminar, Washington DC, May 7, 2003. “Interaction of Hydrophobically modified polyelectrolyte with surfactant of same charge,” 77th ACS Colloid & Surface Science Symposium, Atlanta, Georgia, June 15-18, 2003. “Pitting inhibition by surfactants as a function of temperature,” 77th ACS Colloid & Surface Science Symposium, Atlanta, GA, June 15-18, 2003. “Effects of Sodium dodecyl sulfate on mixed liposome solubilization,” 77th ACS Colloid & Surface Science Symposium, Atlanta, GA, June 15-18, 2003. “Interactions of poly (amidoamine) dendrimers with hematite,” 226th American Chemical Society, Meeting, New York, September 9, 2003. “Inhibition of pitting corrosion by surfactants in various corrosive environments,” (with Z. Wei and P. Duby), 226th ACS Meeting, New York, September 9, 2003. “Interaction of gum depressants with talc: Study of adsorption by spectroscopic and allied techniques,” 22nd International Mineral Processing Congress, Cape Town, South Africa, September 28, 2003-October 3, 2003. “Novel Nanogels as Carriers for cleaning and release,” Society of Cosmetics Chemists annual scientific Meeting, New York, December 5, 2003. “Effect of water chemistry on adsorption and flotation of salt type minerals”, Feb. 27, 2001, Denver Colorado. “Polymer adsorption and conformation in the concentrated dispersions”, Feb 27, 2001, Denver, Colorado.